New cars at the Port of Richmond. We’ve been hurtling toward 25 percent car tariffs actually happening ever since Trump started threatening them in March. Now, The Washington Post reports that our president is determined to implement them even as advisors “scramble” to stop him. Very few people outside of the President himself think the tariffs are a good idea. That includes Republican lawmakers, and many inside the White House itself. White House advisors there in recent days have been trying and failing to persuade the president just how bad an idea the tariffs are, according to the Post, though they’re not getting anywhere. Trump has become increasingly defiant in his trade strategy, following his own instincts and intuition and eschewing advice from his inner circle. He has told advisers and Republicans to simply trust his business acumen, a point he tried to reinforce Wednesday morning in a Twitter post. Before Trump could impose tariffs on auto imports, the Commerce Department must issue a finding that they pose a national security threat to the United States. Several Republican lawmakers have said such a finding would be laughable, but the Commerce Department has flexibility to make a determination on its own. 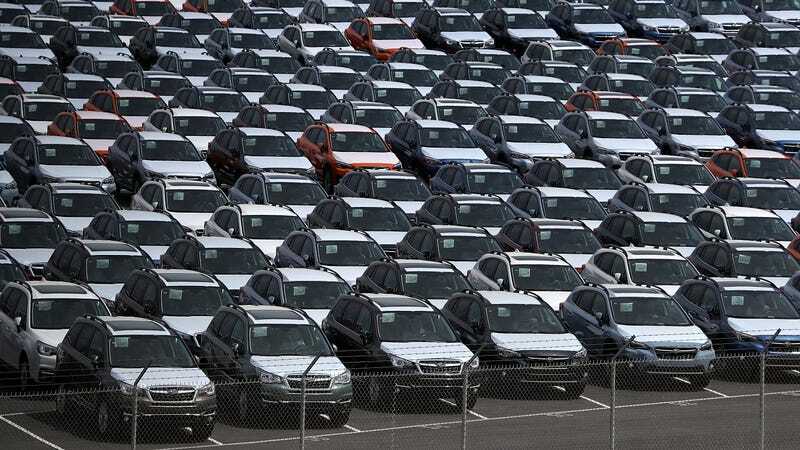 Commerce Department officials are now considering a variety of options to address Trump’s insistence that cheap foreign cars are flooding the U.S. market, and some of those measures would stop far short of imposing tariffs, two people briefed on the discussions said. But several of Trump’s advisers think he is expected to follow the approach he took with steel and aluminum imports and choose the most severe restrictions and his favored tool — tariffs across the board, according to the three people briefed on White House discussions. A reminder: Consumers (you) are the primary losers in trade wars, since tariffs inevitably trickle down to raise the price of goods. Let’s do some quick back-of-the-envelope calculations. The Volvo XC60, which is imported from Sweden and currently starts at $41,500 would cost $51,875 with an additional 25 percent tariff tacked on. The Subaru WRX, made in Japan, starts at $27,195 and might cost $33,994. Or how about the German-made BMW 3 Series which starts at $34,900? That could go up to $43,625. This is all not to mention, too, that trade wars are a two-way street, meaning, that any reciprocal tariffs will drive prices up for consumers in Europe, a big market for all of those BMW SUVs made in South Carolina. Higher prices on BMW SUVs in Europe could mean fewer sales, which could mean a slowdown in production, which could mean layoffs. Or it could mean a shift in production overseas altogether, as with Harley-Davidson, which has been the target of retaliatory tariffs from the European Union and, as a result, has said they will move some production to Europe. Trump supporters understand all of this, but it’s remarkable to me the pain many of them are willing to absorb, all for increasingly fuzzy ends, and even when Trump’s policies have a direct effect on their own livelihoods. The Kansas City Star recently went to Poplar Bluff, Missouri, to survey the impact of the Mid Continent Nail Corporation’s slow-motion demise because of Trump’s steel tariffs. Residents there stood by their man. “He’s the only one who hasn’t lied” about what he was going to do in office, insists Eric Turner, a chef. So although through the tariffs “he’s going to drive up the cost of everything, people are still going to stand behind him” in heavily Republican Butler County. Trump&apos;s Imported Car Tariff Could Ruin PSA Peugeot-Citroën&apos;s Plans to Return to the U.S.